A good tripod is an essential bit of kit if you’re serious about photography. Don’t worry, we’ll do the legwork for you. These are the best tripods for pretty much everyone. After your camera and a lens, a tripod should be a top priority to add to your collection. Some kinds of photography—like long exposure, good self portraiture, wildlife or sports photography with a long telephoto, or timelapses—are next to impossible without one. On our sister site, How-To Geek, I looked at how to buy and use a tripod but these are the models we recommend. 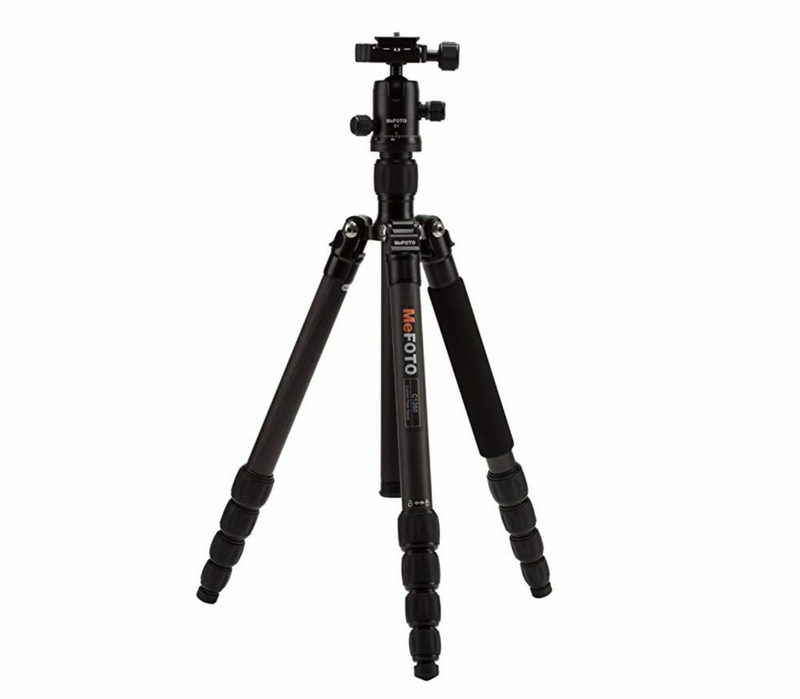 What Makes a Good Tripod? Before diving in, let’s quickly consider what makes a great tripod. A tripod has to support your camera so a great tripod… supports your camera really well. Although carbon fiber is superior to aluminum, material isn’t a major consideration (at least for cheaper tripods) as long as it’s stable even in windy conditions. Unless you only work out of your studio, you’ll spend at least some time carrying your tripod around. This means a great tripod can’t be too heavy or too big. You won’t want to carry around a battle tank. On the other hand, because it has to be stable it can’t be too light either. Tripods serve two purposes: to stabalize your camera for single shots and to hold it at a comfortable level for continuous shooting. This means that they need to be tall enough that most human sized humans can use them without stooping. It has to be good value for money. We’ll look at a $1000 dollar tripod, but the tripod for the average photographer should not cost anywhere near that much. With all those factors in mind, let’s dig in. The $150 Vanguard Alta Pro 263AB is the cheapest, great tripod money can buy. There are cheaper tripods and there are better tripods, but none of them hit this sweet spot anywhere near so well. This was the first tripod I used and properly loved. There’s now an updated model, the Vanguard Alta Pro 2+ 263AB, but honestly, at $210 I wouldn’t be rushing out to upgrade. The original is excellent and a steal at the price. The aluminum Alta Pro folds up to 24.75” and extends to a maximum height of 65”. It weighs 4.4lbs and can support up to 15.4lbs, more than enough for a DSLR and long lens. 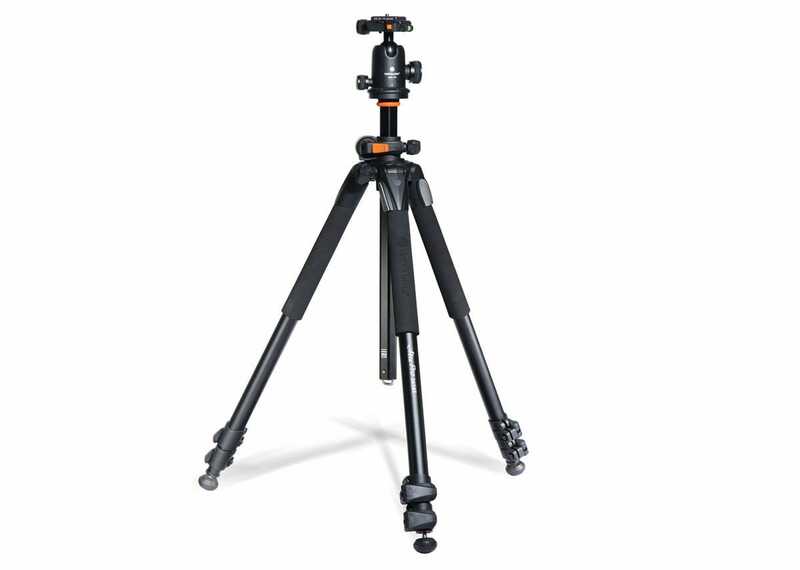 The multi-angle center column can rotate from 0 to 180º and, since the legs can splay wide, this gives you a minimum macro height of just 6.25”. The Alta Pro is just a really really versatile tripod. The complete kit also comes with a ball head which is great for almost all kinds of photography. The greatest compliment I can pay it is I’ve had zero complaints using mine; it’s there, it works, and it’s never let me (or my camera) down. 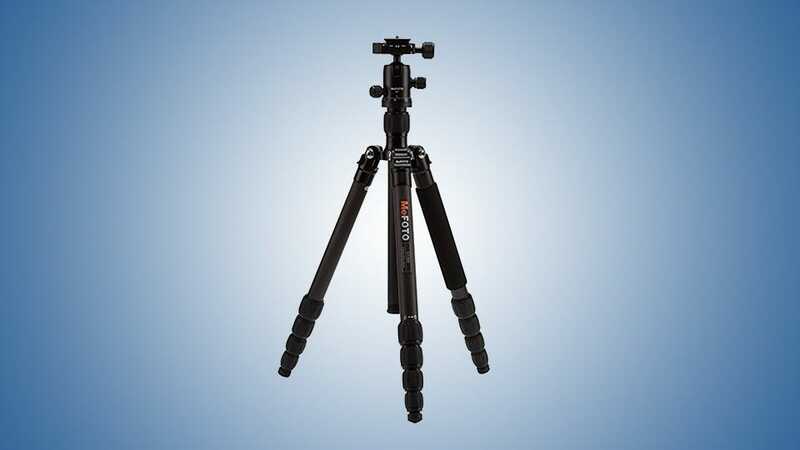 If you’re buying your first tripod, go with this one. It will last you years and, by the time it’s a beaten veteran of a hundred photo shoots, you’ll know what you need next. If budget isn’t as much of a concern, the MeFOTO Classic Carbon Fiber Roadtrip ($300) has a couple of advantages over the Alta Pro if you like to bring a tripod with you when you travel. The carbon fiber Roadtrip folds down to just 15.4” but still extends to a maximum height of 61.6”. It weighs 3.1lbs and supports up to 17.6lbs. It has a similar load and max heights as the Vanguard Alta Pro (although I wouldn’t push either tripod to it if you’re looking for stability) but the Roadtrip is roughly 9” shorter and 1.5lbs lighter. That’s the difference between the TSA confiscating your weapon and getting your tripod on as carry on luggage. Granted, it is also twice the price. The other downside is that the Roadtrip is less versatile. It can’t go as low with a minimum height of 15.4”, and has no macro mode for getting close to small objects. The carbon fiber makes it a little better at dampening vibrations but, all things considered, it’s a lesser tripod to the Alta Pro unless you’re travelling, carrying it on your back, or otherwise prioritizing weight and size over everything else. Like the Alta Pro, the Roadtrip comes with an incredibly functional ball head that does its job. Unlike the Alta Pro, it’s Arca Swiss (a universal tripod standard) compatible which means you can use it with things like Peak Design’s Capture Clip which is great for travelling. 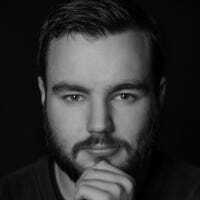 If budget is absolutely no concern and you want the best of the best, then you need to look to Really Right Stuff. The American company makes incredible gear. The only downside is that it’s also incredibly expensive. Our pick of their range is the TVC-24 MK2. 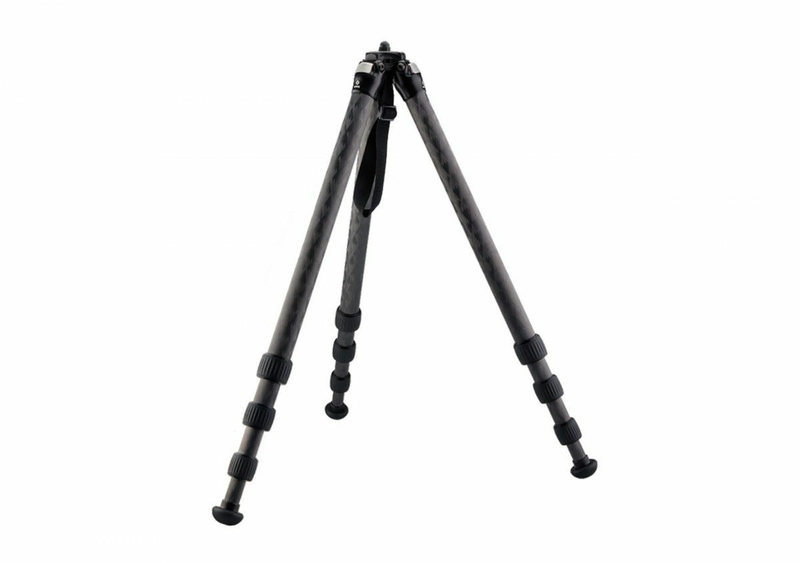 It’s a carbon fiber tripod that folds down to 19.1” (small enough for carry on) and extends to a maximum of 49.4”. It weighs 3.3lbs but can support a ridiculous 40lbs. The big issue with the TVC-24 is you’re just getting the tripod legs. If you want a center column or ball head (included on the Alta Pro and Roadtrip) then you need to pony up more money. The $120 TA-3-QC quick column gets you an extra 12.5” of height bringing the TVC-24 to the same sort of height as the other two tripods. A comparable ball head, the BH-30, starts at $210 and things only go up from there. This means you’re talking a minimum of $1295 to get to the same feature set. A Really Right Stuff set up is not for the price sensitive. Their tripods aren’t eight times better than Vanguards. But they are better—a small bit better—in almost every conceivable way. The quality of materials, design, stability, and finishing touches are all exceptional. There’s a reason that huge numbers of professionals only buy their tripod gear from RRS. If you’re in the position to do it, go for it. Otherwise, our other two picks are great as well. A tripod is one of the most important bits of kit for almost every kind of photography. These are the ones we think are best for the majority of people. If we’ve missed your favorite, let us know in the comments. An electric razor is one of the most popular ways to remove body hair. It’s not a perfect method (none of them are) but with the right razor, you’ll be happy with the results. Here’s our pick of the best women’s electric razors out there.